TORONTO (miningweekly.com) – Columbia remains a jurisdiction with excellent potential for mining companies and investors, but risks remain, while permitting delays persist. Peru, too, remained a leading jurisdiction for mining, but higher levels of social unrest were worrisome, delegates at On the Ground Group’s recent Mine Latin America symposium were told. Delays in permitting and licensing had caused serious headaches for extractive companies seeking to invest in or advance projects in Colombia. The delays had damaged the country’s reputation for being mining friendly. This was reflected in its position on the Fraser Institute’s investment attractiveness index for mining, Alicanto Mining executive chairperson Raziel Zisman pointed out. Colombia was ranked seventeenth of 79 countries in 2010/11, but slipped to fifty-eighth out of 122 countries in 2014. Chile, by comparison, had ranked fourth in 2010/11 and thirteenth in 2014. Colombia had gold, nickel, platinum, silver, coal and emeralds, as well as immense oil and gas potential. Companies and investors had rushed into the country during the last resource supercycle, spurred on by the immense promise of previously inaccessible regions. This started to change as administrators were trained to appreciate and understand their role in granting rather than rebuffing permits. “We’re entering a new phase where we’re older, wiser and smarter, and have more grounded expectations,” he added. Of companies advancing properties in Colombia, Zisman cited Red Eagle Mining and AngloGold Ashanti as noteworthy. Red Eagle holds the Santa Rosa gold project, while AngloGold Ashanti holds the La Colosa project and has a 51% stake in the Gramalote, with B2Gold holding the remainder. Colombia had also initiated a major infrastructure programme, spending around $42-billion to help open up a country notorious for its rugged topography. “And that’s going to unlock a tremendous amount of potential. As Canadians involved in mining, we should think about that,” Zisman said. While the resource supercycle had been the primary catalyst for interest in Colombia, the peace-making efforts between various governments and Revolutionary Armed Forces of Colombia (Farc) revolutionaries was another. The opportunity for formal peace was even closer today, potentially bringing 50 years of civil conflict to an end, Control Risks director for Latin America risk analysis Simon Whistler said. Peace would open the country up for further exploration opportunities. But, while issues surrounding guerrilla units had improved considerably, they had not gone away; safety remained a big concern. In addition, the National Liberation Army, or ELN, guerrilla group remained active and it was not known when it might move towards agreeing to a peace accord. In addition, Farc’s primary source of income was not drugs. It was illegal mining operations. Peace would also enable the far left to increase its involvement in Colombia’s everyday political process, becoming more relevant and possessing a voice to raise concerns and influence policy. In addition, the conflict had created tensions at local levels that companies needed to carefully understand before entering or investing in an area. “Many villages have been torn apart by conflict. Mining companies inserting themselves into that type of environment have a difficult job in terms of understanding those dynamics and making sure they’re seen as neutral players,” Whistler said. Any mistakes could reopen old wounds or create resentment. It was imperative that corporate social responsibility teams and security management were synced and personnel made fully aware of the nuances. 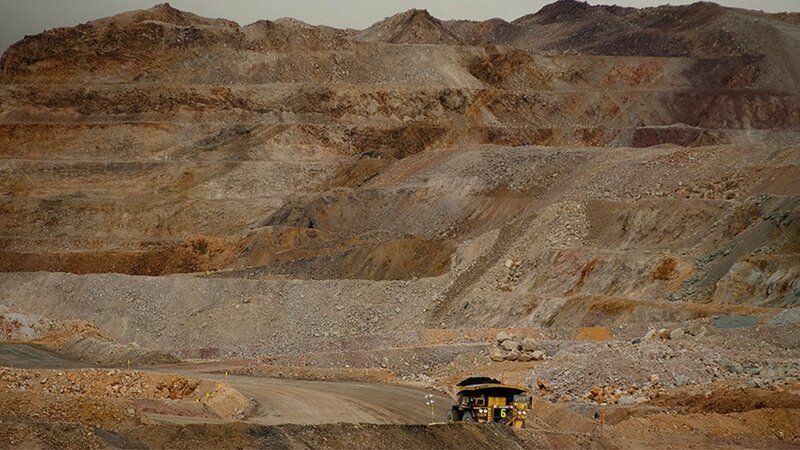 Peru, meanwhile, had attracted around $30-billion in investment in mining over the past five years, according to Jull. Several notable projects had recently been completed. However, the pace of investment had been tailing off recently, owing primarily to the effects of the downcycle. Many of these pressures related to failed promises made by the current government under President Ollanta Humala with relation to social issues. Tied to this were problems associated with local, provincial and, sometimes, national corruption. The social unrest might become more problematic as people view protests against mines and mining as the primary means to attract and secure political attention. In many ways, this further illustrated the disconnect between the local and national governments, Whistler added. Still, mining remained a key driver of prosperity, wealth creation and revenues for the country. “Mining has transformed Peru in ways that are unimaginable; it would not be the country it is without mining,” Zisman said.